Psilocybe Cubensis Hawaiian est aussi connu en tant que PES Hawaiian, Hawaiian ou PESH et produit rapidement d'abondants cycles de grosses parties fructifères : vraiment grosses, des spécimens de 30cm ne sont pas rares. L'apparence ressemble à celle de la variété cambodgienne avec ses chapeaux plutôt larges en forme de cloche. 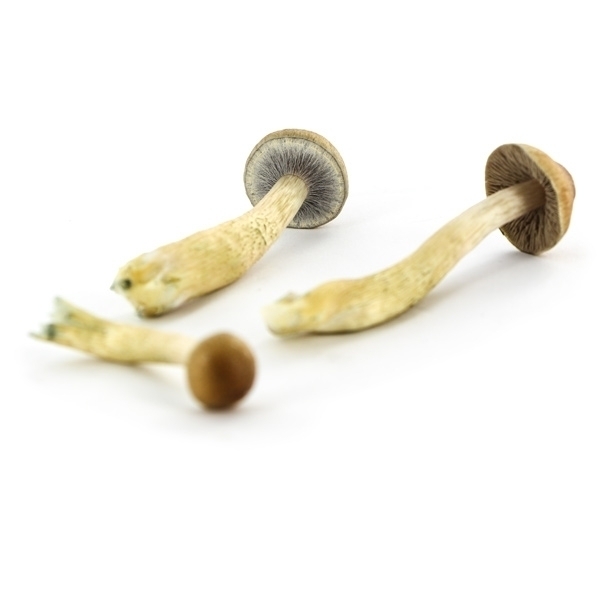 Ne confondez pas Cubensis Hawaiian avec Hawaiian Copelandia (Panaeolus cyanascens), ce sont deux variétés totalement différentes. 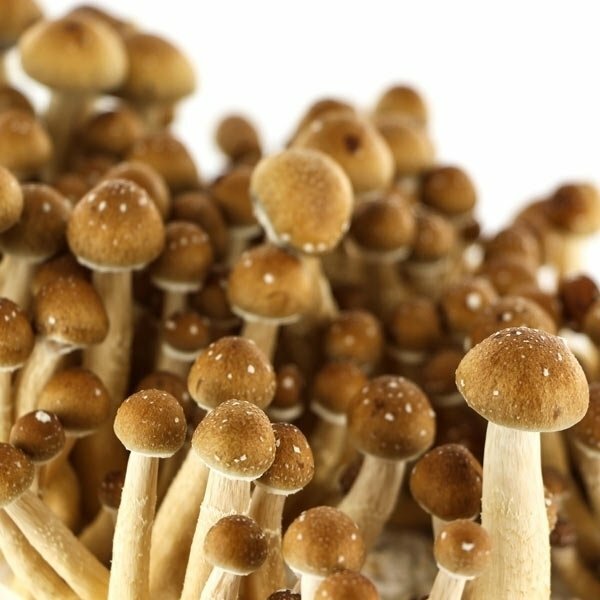 La plupart des Cubensis sont nommés d'après la personne qui les a découvert ou leur région d'origine, alors d'où peut bien venir Psilocybe Cubensis Hawaiian ? On ne sait pas trop, en tout cas pas d'Hawaï, car il n'y a pas de mention de champignons magiques poussant naturellement à Hawaï. Alors pourquoi ce nom ? Parce que la première compagnie à vendre cette variété était basée à Honolulu, à Hawaï. 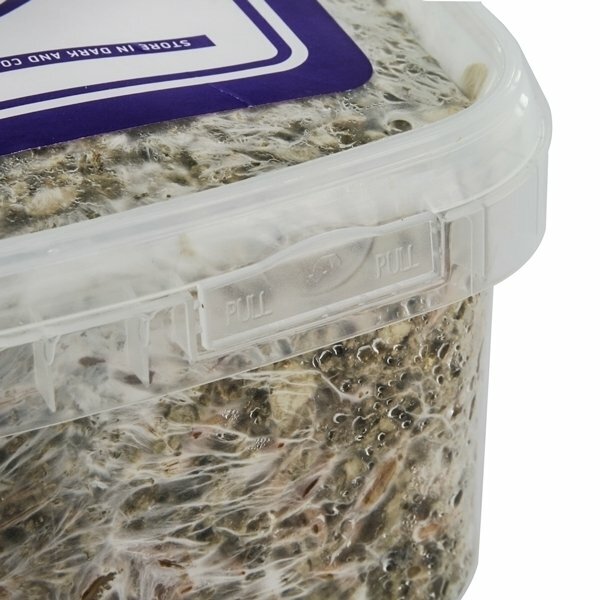 Ce kit contient 1200ml de pain de seigle totalement colonisé. Tout ce que vous devez faire c'est passer du temps à attendre que les champignons poussent. First flush went very well, but then got carried away and over-misted. My mistake, as the kit was doing it's best to grow in the bad, over moist conditions I had created. So I think it was a good kit, and I screwed it up. It was my first time growing a kit, and i'm 100%satisfied, even though i didn't get as many shrooms as the picture above, but anyways they are amazing, easy to grow and very very strong.... I can say i had the biggest spiritual experience in my life, never feeled so loved and so strong. Overall I would say I am satisfied with the shroom kits. They have given me some beautiful experiences. Though I am slightly disappointed by the amounts I have been able to wield. I have grown 3 different grow kits now. Every time I have very carefully followed their instructions, but the max flush has been 14g dried. Not even once have I had as many shrooms as in the promotion video's and pictures. It kind of feels like false advertising. First time grower. It was very easy! After about a week from placing my order, my grow-kit arrived at my doorstep in discreet plain packaging. I had never grown mushrooms before, so I was a little worried I'd arse it up. But this wasn't a problem. I just followed the simple instructions Zamensia emailed to me with a PDF. Then, after about 8 or 9 days, I had oodles of beautiful shrooms. In the middle of my 2nd flush with this kit at the moment, and everything is going well, so far. I'm very impressed. Tried the Hawaian once. Great shroom. Big flush and fast growing also. I purchased the Supa Grow kit. It came very promptly and discretely. I did not follow the instructions to the T, as the laid under by bed for about 5 days before I started it. (I suspect I should have put in the fridge for this period). The first flush came within 2 weeks however and managed to get 150g wet, which came out around 15g. The second flush I got around 7g. I did get good support from the sellers and they answered all questions and gave me a couple of things to try. I am happy with how many I've got the kit, but Im certain I could of gotten more if I started it straight away. Ive not had more that 1g of this yet, as this is a very nice 'sociable' amount to take. Im sure it wouldnt take much more to take you to higher realms. Will buy again in the future, totally dependent on how long my yields last! Thanks again Zam for your service. 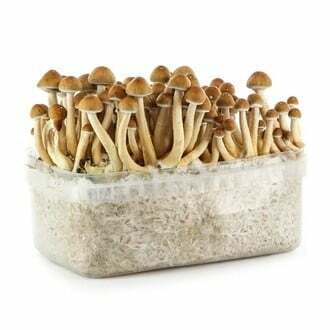 This is my 10th kit and I've tried many different type of shroom and this one are amoung the best! When you get the kit just follow the instructions it's as simple (and the heating support is worth it!)! 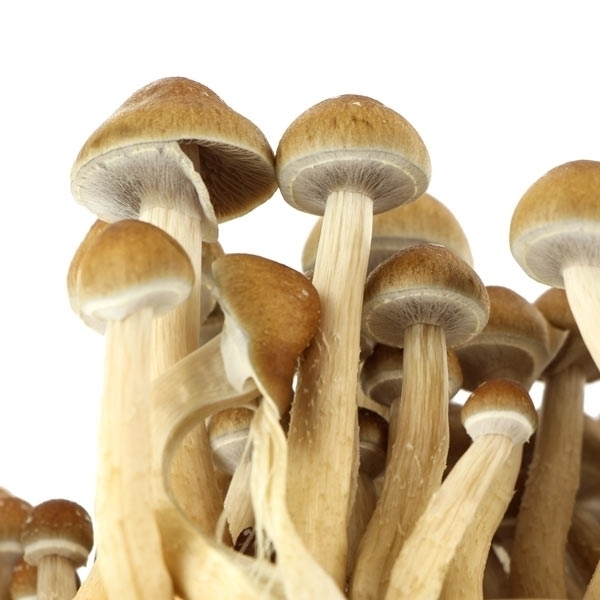 Dry them with a air dryer or a fan in a dark and temperate room (NOT EXCEEDING 50° Celsius) About the shroom trip I strongly advice to be in a good mood and very good setting (good music, confortable environnement etc). You must not eat 4-5 hours before the taking. I advice taking 2-3g of dry mush (don't take just on big, try to diversify size). Put the mush in a glass countaining lemon juice and water and stirr while breaking it down a bit. Then chew them for 1 minutes to shred it totally, finally drink the lemon juice and swallow it all! Effect should appear 20-30 minutes after thanks to lemon juice (and be stronger). It last around 3-4 hours Blasting trip every time, perfect and soooooo gooood time Sorry for my English i'm French!